The Seward County Saints will try to again save their best for last. A season ago, SC played their best in the Region 6 Tournament and advanced to the championship game. 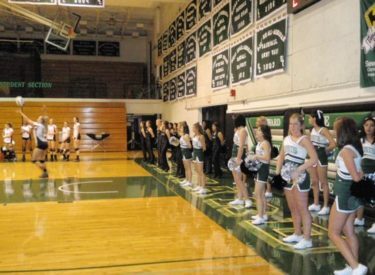 This season the Saints are off to a good start after taking out Pratt (25-18, 27-25, 25-14) Tuesday night in the Green House in the opening round of the Region 6 Tournament. Seward (22-14) faces 28-13 Colby Saturday at 2 p.m. at Newman University in Wichita. Hutchinson (15-21) and conference champ Barton (26-11) play at noon. This is a double elimination tournament.